In the upper Val Rendena, at an altitude of 785 metres, where it is surrounded by the Brenta group, Adamello and Presanella mountains, is Pinzolo, a well-known tourist resort that was first developed in the 1960s. 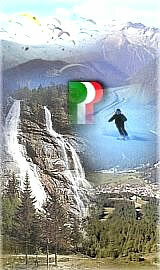 The town’s skiing area has a large number of well-cared-for pistes that are served by modern lift facilities. The runs - which are above all medium difficulty - are also suitable for beginners, while the more demanding skiers will find the right slopes for improving their technique. Well worth trying is a ski mountaineering excursion, a more peaceful walk on snowshoes (“ciaspole”) or even paragliding to discover the more charming aspects of this welcoming resort. There is a series of valleys of the rarest beauty in the upper Rendena, including Val Campiglio, home of the well-known Madonna di Campiglio, pearl of the Brenta Dolomites, and the Val Genova, the valley of waterfalls and entrance to the Adamello Brenta Natural Park. 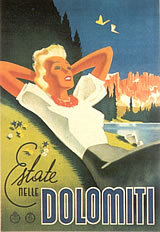 The resort has maintained many of its folkloristic traditions, such as the satirical "Trato Marzo", and great sporting events such as the Inter summer stage, world-class figure skating exhibitions and the Val Rendena ski mountaineering event.